If you want your entire bathroom to be perfectly coordinated, try our Cultured Marble Bathtubs, either in matching pattern or complementing solid colors. 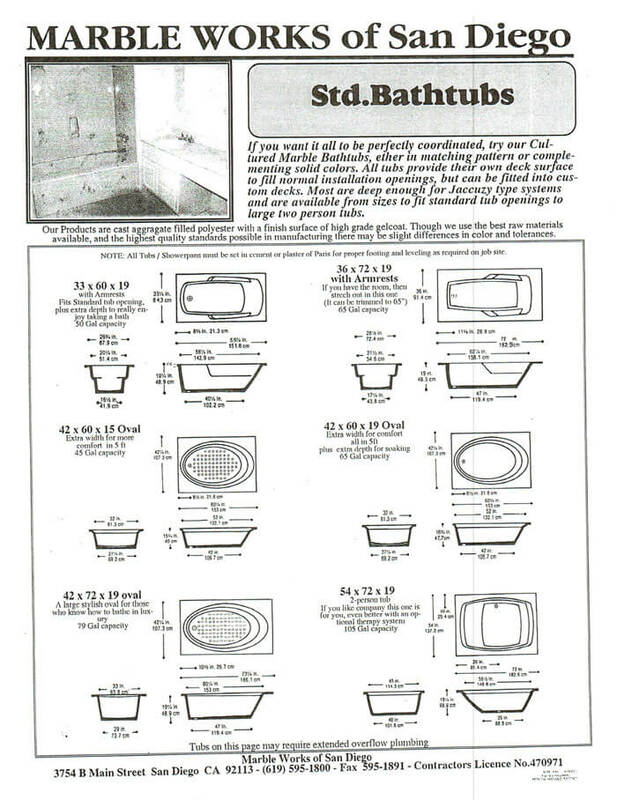 All tubs provide their own deck surface to fill normal installation openings, but can be fitted into custom decks. Most are deep enough for Jacuzzi type systems and are available from sizes to fit standard tub openings to large two person tubs. Just a little note to let you know that your crew did a wonderful job! Our shower looks marvelous, we will recommend your business to all our friends and family. Besides your wonderful work we also appreciated your clean up. Once again, thank you very much.